At the Yachting Festival in Cannes from September 8-13, 2015, Rolls-Royce is presenting the latest MTU propulsion systems and automation products for yachts and the Premium Yacht Service global customer service and support program, which is tailored specifically to the yacht market. Making its debut on Stand JETEE153 will be a remote control desk featuring the latest Pininfarina-design bridge components together with a simulator that will allow visitors to test out all functions. The new bridge components will be on the market from spring 2016. MTU will also have a model of the advanced-design Series 2000 engine on show, which also incorporates a ZF gearbox. In the Premium Yacht Service Lounge visitors will be able to find out about the new customer service and support program. The MTU brand is part of Rolls-Royce Power Systems within the Land & Sea division of Rolls-Royce. 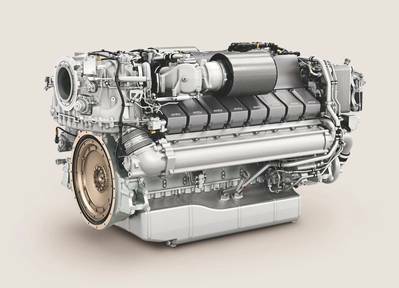 In the Series 2000 M96, MTU has its latest yacht engine technology on show. 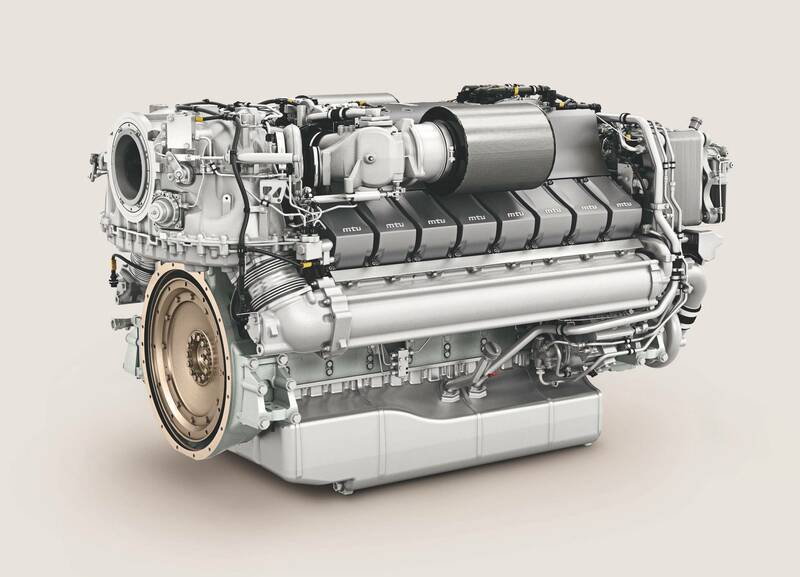 This power unit follows on from a long tradition of reliable and efficient high-performance yacht engines from MTU. The new design is distinguished by improved acceleration capabilities and economical fuel consumption, and meets the EPA Tier 3 exhaust emission standard for leisure craft. It is available as a 12-cylinder or 16-cylinder version with power ratings from 1,268 to 1,939 kW. “Since the market launch in 2014, we have already supplied more than 200 engines to clients. The new engine is now in use in numerous yachts in the U.S.A. and Europe,” said Nadine Buhmann, Head of Marine and Offshore Business at MTU. With an entirely new design concept for control lever, digital touch displays, control panels and analogue display instruments featuring unified and distinctive styling, MTU has responded to the increasingly exacting aspirations of yacht buyers. The components have been redesigned in collaboration with Italian designer Pininfarina. The new bridge components will be available to shipbuilders for use in standard production models from spring 2016, enabling them to retain a modular system while also offering clients a stylish control-stand concept. The components can be installed in any control desk and can be combined with the MTU Blue Vision New Generation automation system. MTU supplies yacht propulsion systems and complete system engineering solutions from a single source. Shipyards are frequently supplied with an engine and gearbox system with optimized interfaces that is fully monitored and controlled by an MTU automation system. For standard production yachts, MTU offers not only main propulsion units and gearboxes with outputs ranging from 261 to 4,300 kW, but also gensets for on-board power supply with ratings up to 280 kW, and emergency power generators. The MTU Premium Yacht Service and support package includes all MTU ValueCare products and can be precisely tailored to the individual client's wishes. MTU thus offers clients in the luxury yacht sector an expanded global support service for the full life of the engine. Worldwide, all owners of yachts with MTU engines can benefit from the new extended warranty of up to eleven years and individually customizable maintenance contracts. The Customer Assistance Centre guarantees rapid availability anywhere in the world – 24 hours a day, seve days a week. Some of the biggest yachts on view at the Cannes Yachting Festival are fitted out with MTU engines, among them the 44-meter AB 145 yacht built by AB Yachts (triple MTU 16V 2000 M94 engines), the 41-meter Majesty (twin MTU 12V 4000 M93 units) made by Majesty Yachts, and the Baglietto 43m Fast (twin MTU 16V 4000 M93L engines).